You can make money using any skill, so long as you set your mind to it to get to a higher level. Find what skill you like the best and stick to it. Most f2p players make money using the most popular f2p skill - which is woodcutting. Woodcutting makes high profit at higher levels, not as high as mining but it takes a massive amount more effort to get higher mining levels. So you make a profit (using wc) for relatively little effort. 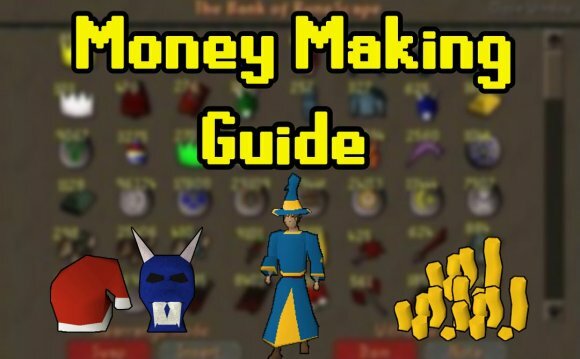 A great way of making money with minimal skills for minimal questing is to make Blue Dye. Buy Woad Leaves on the Grand Exchange for 15-20gp each. The leaves are stackable, which will help greatly with this method. Take the woad leaves and a few thousand gp to Aggie the Witch in Draynor Village and have her make Blue Dye for you (about 3-4 clicks, pretty quick *try right clicking her*). After you have a full inventory of Blue Dye, run briefly to Draynor bank and deposit your Dye. The total cost of the Blue Dye is>2 Woad Leaves (30-40gp) + 5gp for her to make = 35-45gp... Each Dye sells for over 400gp each, currently 433gp. That's a profit of almost 400gp each! Repeat this method a thousand times and enjoy massive piles of gp. Thanks, thumbs up if this helped you get started making mils please! There are many legit ways to earn money through online ..But i suggest reselling business.If you are interested in this business get the reseller plan at .. Through this you will get the domains at cheap price & you can sell it to others.. There are tons of way to make money, I think that going to this website: runebase.at.ua/publ/ and look at some of the articles. Its helped me out a bunch. Where to Buy Runescape membership Cards?